The City won't say how much parking revenue is expected to come from how much parking. The City won't provide current Hotel/Motel Tax fund revenue already designated for the project. The City won't say what the Facility Fee ticket surcharge is expected to be. I have asked for a meeting to explain this information twice or three times. Please set up a meeting with someone who can go through this with me. Good morning! I am locating someone who can review the financial statements provided in response to Public Records Requests #7634, 7635, and 7636 with you. How is the review person issue coming? Thank you for your email! Greensboro Finance and Administrative Services should call you soon to assist. Please email me if you have not heard from them by Wednesday. Thank you! Hello! I apologize, and will follow up. 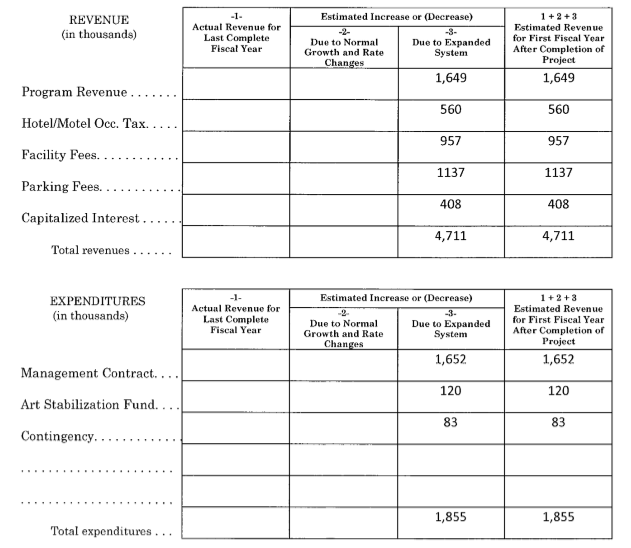 Please provide the spreadsheet s underlying the numbers on revenue. This says current Hotel Motel taxes are already designated and can be counted currently. There is current actual revenue to report to the Local Government Commission, which wasn't.